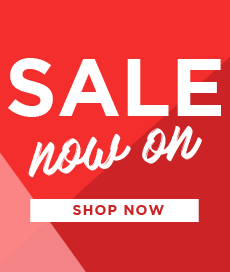 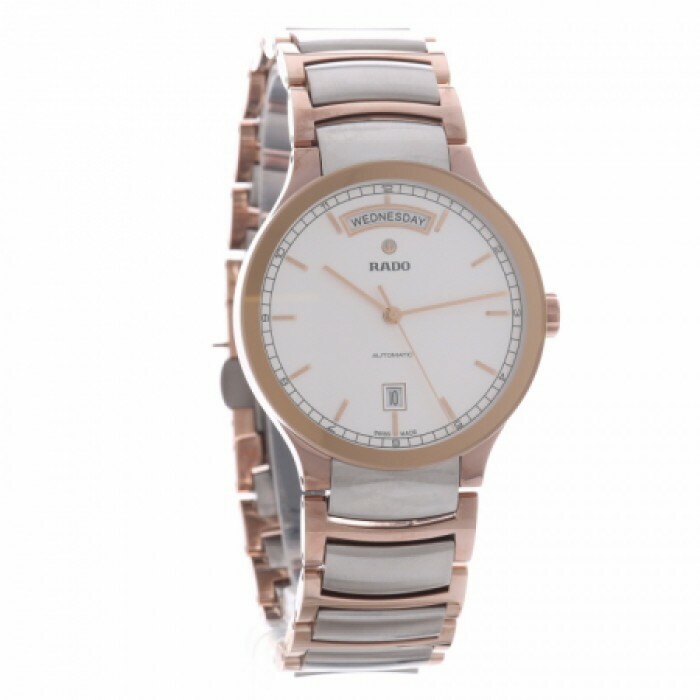 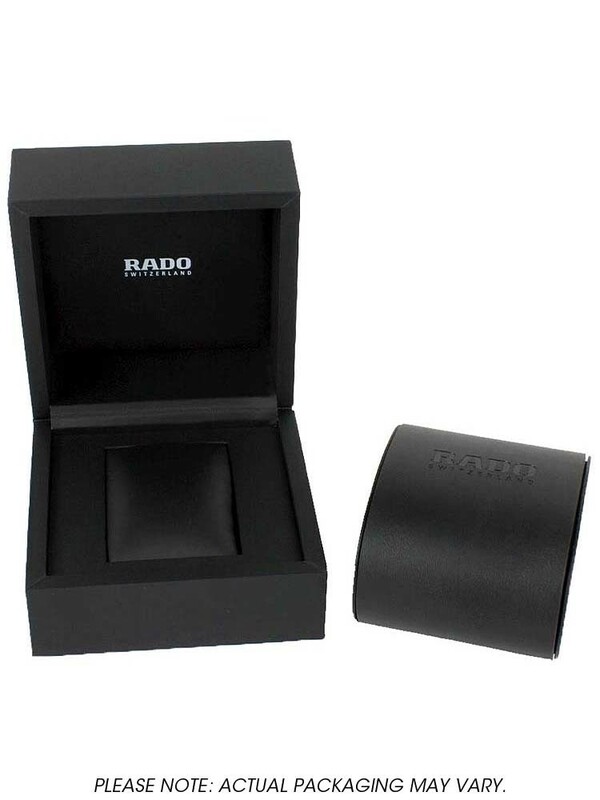 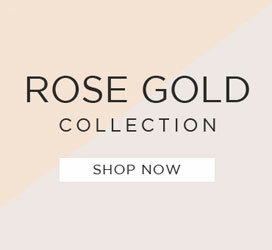 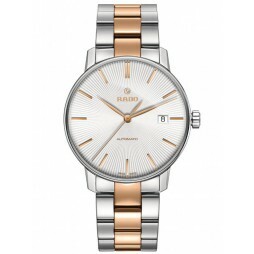 Rado present this contemporary two colour design, forged from a combination of rose gold plated and silver tone steel. 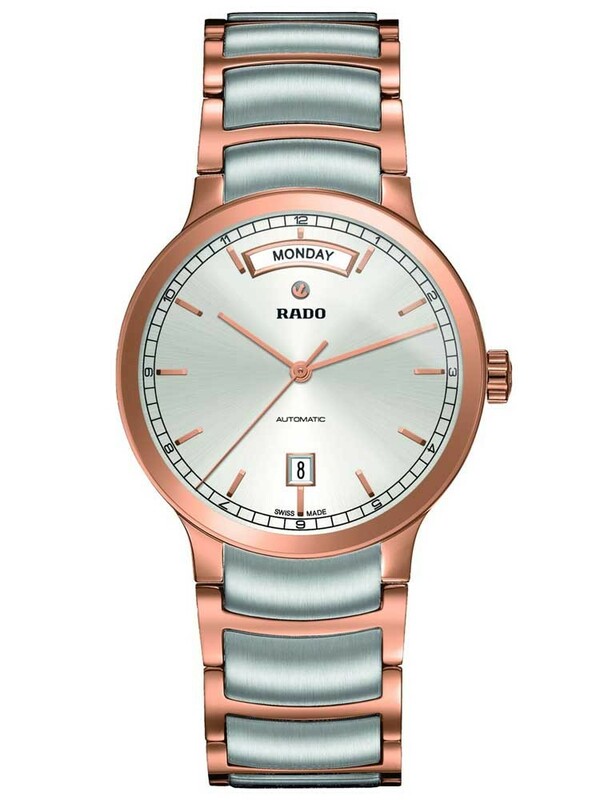 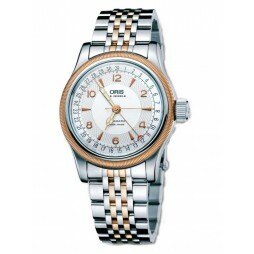 The uncluttered silver dial features a day and date window accentuated by matching rose gold accents. 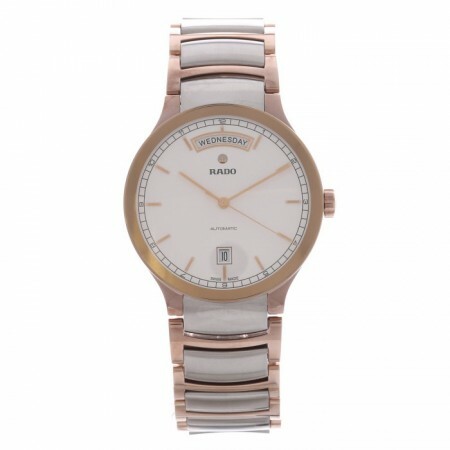 A lightweight timepiece perfect for embracing the wrist and offering exquisite comfort.